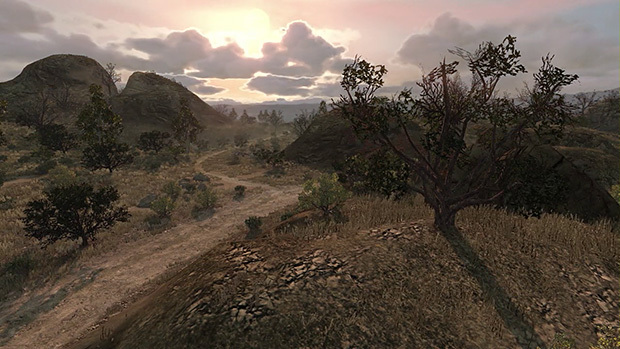 If you've played Red Dead Redemption, then you know that it's a beautiful game. Personally, I find its capacity for creating breathtaking vistas to be unmatched; like Michael Abbott at The Brainy Gamer, I time my saves so that I'm traveling around the game world at dawn and dusk. Riding toward the quickly setting sun, against the backdrop of a burning sky and an environment suffused with the ruddy glow of twilight, is a magnificent image that I will always remember -- and one that makes me want to visit the American West.